I love lemonade, especially in the Summer. Whenever I go out to eat, if I'm not having wine, beer, or a mixed drink, I will order a lemonade. Some restaurants make fresh lemonade (very few) and others just use Minute Maid lemonade from the soda gun behind the bar. 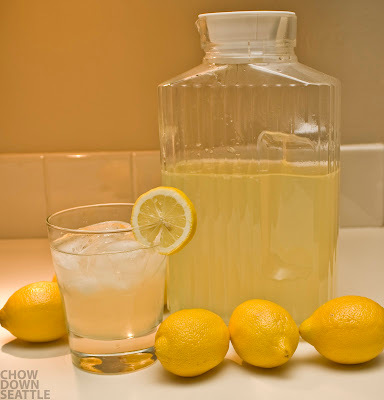 I searched online for a good recipe for homemade lemonade and I found this recipe. It came from "Aunt Suzie" from Allrecipes.com. 1. 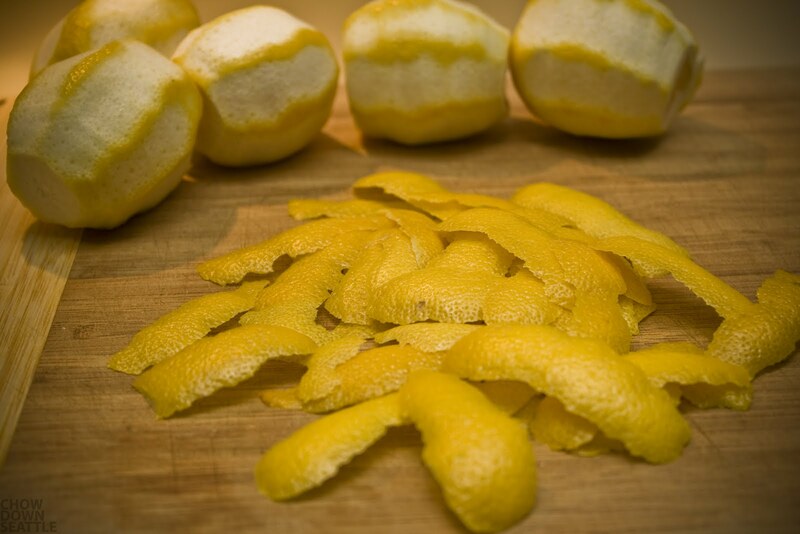 Peel the rinds from the 5 lemons and cut them into 1/2 inch slices. Set the lemons aside. 2. Place the rinds in a bowl and sprinkle the sugar over them. 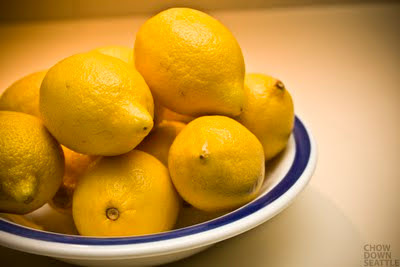 Let this stand for about one hour, so that the sugar begins to soak up the oils from the lemons. 3. Bring water to a boil in a covered saucepan and then pour the hot water over the sugared lemon rinds. 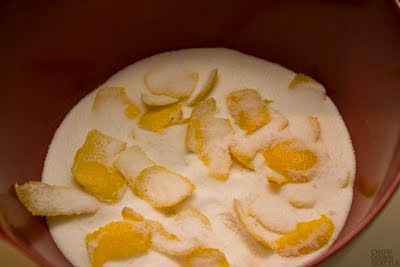 Allow this mixture to cool for 20 minutes and then remove the rinds. 4. 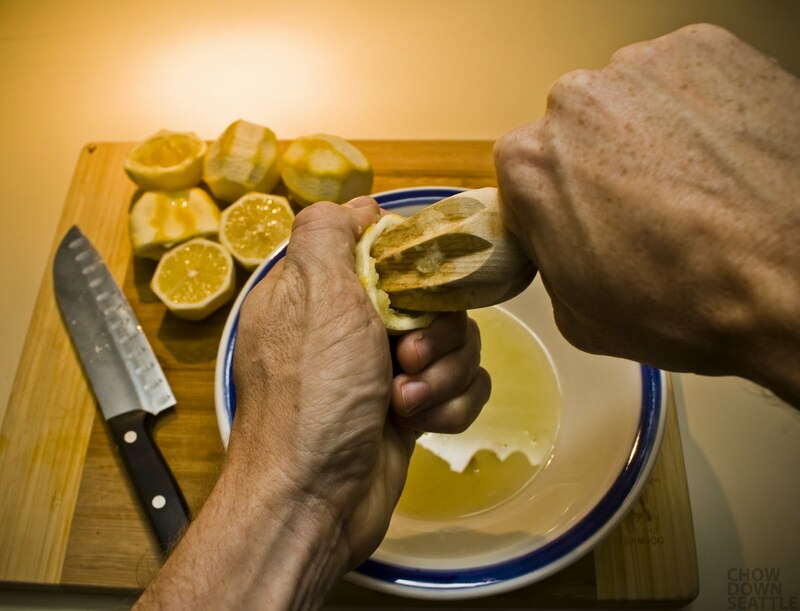 Cut the lemons in half and use a reamer to squeeze the lemon juice out of the lemons into another bowl. Pour the juice through a strainer into the sugar mixture. Stir well, pour into a pitcher and chill in the fridge. Serve with ice cubes. Enjoy! You may need to adjust the lemonade to taste. You might want to add more water or more sugar.